I am so delighted by all the countries worldwide that have started producing postage stamps themed to Postcrossing -- and even more delighted when I receive them! The latest offering, shown above, is from Belarus, and I am a big fan. I like the cheery letters and bright graphics, and especially the "Happy Postcrossing" wish that so many Postcrossers share with each other on our postcards. 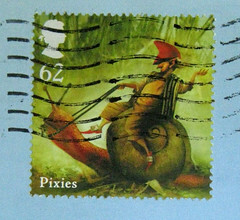 So far I've received other Postcrossing stamps from the Netherlands (which somehow I've never blogged about before!) and Finland... so far, the one from Belarus is my favorite! Hmm... what do we have to do to get a Postcrossing stamp here in the USA? Something tells me that's not too likely, but perhaps I'm just a pessimist. I wish the USPS would make a Postcrossing stamp! I doubt it will ever happen because we have pretty dumb rules for what gets put on stamps. Haha. Tara - yup on both counts. Glad I read this post! 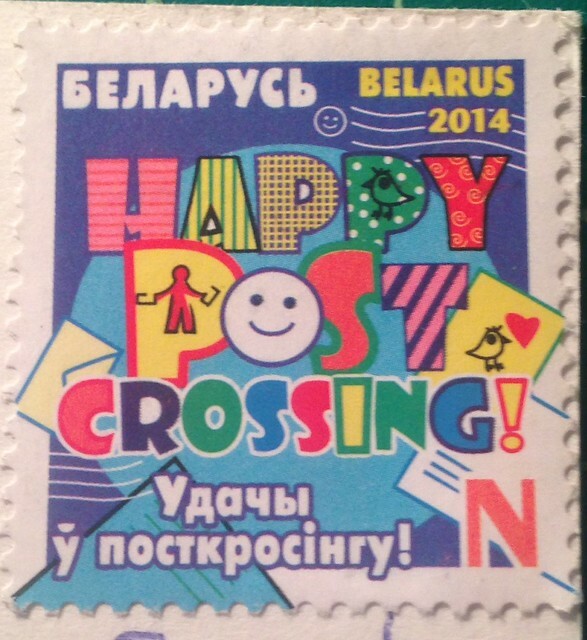 I emailed the Belarus Post inquiring if I could by a stamp or two for my collection. In NYC on Friday 6/13?